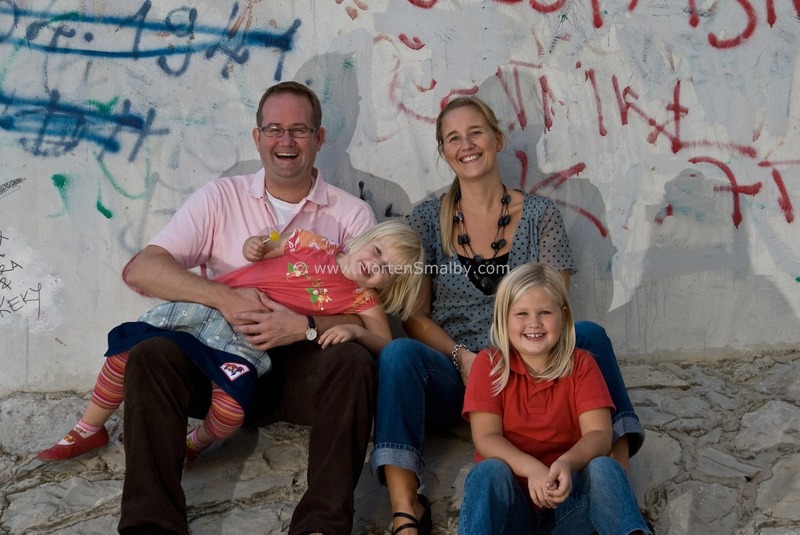 We are Danish expat family who has been living in Split Croatia since the beginning of 2004, where we decided to start a green field company down here. Prior to Croatia, we had been living 9 ½ in German, so we where already used to being “Strangers”, which of course made everything easier. At the beginning of our Croatia adventure, we decide that my wife and the kids should move to Denmark, where the family is living, I should then set up the company and try to get it running. So for 18 month I was living partly 14 days here and 14 days back in Denmark, this was of course a tough time, so in October 2005 we decided to move our family base down here. A week after we arrived Caroline and Ida, which at that time where 5 and 2 years old, started in the local kindergarten, the first month was horrible everyday the kids where crying when we brought them to the kindergarten, so we really had some serious doubt about staying here, luckily that was not necessary, almost immediately after we returned from our Christmas holiday in Denmark, the kids started speaking Croatian, so the crying in the morning was replaced by smiles from two happy kids looking forward to seeing their friends in the kindergarten. In 2007 we reach another milestone which required evaluation of our situation, Caroline had reached the age where she had to start in school, so we of course was considering if we should move back so she could start in the school in Denmark, but after asking around about the school system and talking with the teacher in the kindergarten, who said that Caroline’s Croatian, was good enough for here to start on a local school, we decided to try it out. Today Caroline is in 6th grade on a local school, Ida is in 3 grade which is a wholeday school from 8am to 4pm, both of them absolutely love there school, they have great teachers, and a bunch of nice classmates. At home they have to very nice school teacher helping the with the homework once or twice a week. So although it has been challenging to move down here, we can only say that everything has worked out perfectly for us, we really love the lifestyle here, the long summer, but most of all we love that we here have to possibility to spend lots of time on travelling and exploring, if you browse around on our blog you will know what I mean. If you like our page and Croatia, we would be very happy if you would spread the word by sharing on FB or Google plus. Last but not least you can of course also support us by booking your accommodation through our partnerts. who has proberly the largest selction of Apartments and Hotels in Croatia, you can see the about 40.000 apartment (and villas) units here, and here you find all the hotels. 1) We are planning to rent a car. Should we book in advance or book at the Zagreb airport upon arrival? Will we need it the whole time? We are planning to fly back home from Zagreb. 2) We would like to rent an appartment. Is there a city that we can stay at where we are in the center of it all? If not, how long should we stay in each location? 3) How do we get to the islands? Can we bring the car rental with us on the ferry and explore the island by car? Or to save $, not bring it at all? 4) Do we stay on the islands overnight or we can simply do a day trip? We are on a budget, so any tips you have, or know of any great deals would be greatly appreciated! We love exploring beautiful beaches, nature and architecture. We don’t wanna rush in seeing everything, so if we need to spend more days in certain places, we will. If you rent a car in Zagreb, you could visit Plitvice lakes on the way to Split, depending one when you land you could consider staying one night at Plitvice. You can then keep the car and make a day trip to Dubrovnik one of the first days. Once you have seen Dubrovnik you can return the car. Other options is that you go with bus or fly from Zagreb to Split, Split could then be your base for most of the holiday, from here you can visit most of the islands, With out car, as that is quite expensive. You can visit, Brac, Hvar Island as a daytrip. For the last days of your holiday, you could then rent a car, take a daytrip to Dubrovnik and travel to Zagreb via a Plitvice lakes. In Zagreb airport you then return the car. Note: in September car rental is quite affordal, so you might consider keeping the car all 14 days, then you also have option to See Zadar, Sibenik and National park Krka. Hope that gives you an idea of what to do. First, congratulations for choosing Croatia for your home and I wish all the best in future also. I am representing a new tourist site, which promote the original, authentic tourist places and products in Croatia. One of ours target markets is a Denmark. So,we would like to offer you cooperation and also we would be really grateful if you can suggest us some Denmark agencies which book those king of tourism. i don’t know how easy it is, but it is for sure be possible. August can be a bit tricky as this is main season for day to day rental, so the availibility of long term rentals can by limit, Anyway a real estate agency, should be able to give you a more precice answer. I have another question. Is it harder for a foreigner to rent a flat in Split, or if most of the owners accept to rent their flats to foreigners (im staying for studying) ? i don’t think it is harder, owners are used to foreingers here in Split. Just make sure that the price tag is resonable, so landlords might try to charge a bit extra, you being a foreinger. great site and great that Ive found you 🙂 Very user friendly site and you are great writer/observer/adviser etc.. what Ive read from few comments.. Please can you advice me where to spend my holiday – aprox 10th june till 1st july, around 20 nights.. I wish for smaller place, lets say.. I want to rest, no noisy places, not too much people.. to swim for the first time with my baby, have nice walks in the evening, not to much expensive place.. dreamy holiday 🙂 What place have a nice beach with pines shade + less people, quite place.. I wish for private accommodation, apartment not a hotel or hostel. Since you have family also I hope you understand my wishes.. Thank you very much upfront for your recommendation and reply! PS: Belgrade is very nice, i have been there several times. Hi! My husband maybe getting a job in Split. We are Canadian Expats that have lived abroad in Asia for over 6 years. Love our lifestyle and the adventures we find traveling. We have an 8 year old son who is homeschooled due the minor learning disabilities. I would continue homeschooling but I need to know there are children’s programs like football or music classes that he could join where they would teach the kids in English. I wish I could say he could pick up the local language but it is not lack of effort but lack of ablity. He his super friendly and social he just can’t pick up 2nd languages well at all so we have to find English language activities. Are there any? If so can you point me in the right direction. It’s important to our family that he has optortunites to make friends. Thanks in advance. I have just found your website, which is fantastic! We will travel to Tucepi next week with a group of 10 adults and 2 children and would also like to spend a day in Sumartin, Selca and Povlja. I read the information about your trip to Povlja – could you please let me know who was your driver or advise whom I can contact to take us to the places you visited like the stonemason, Teta Fany and the farm? You should contact Irena, who is the director of the local turistboard, you can write to here on this e-mail tzoselca@st.t-com.hr. Just say hello to here from me, and aks here if you can arrange some of the similar stuff she arranged for me and my family. Jeg er i Split og vil gerne lave nogle modeserier til et online modemagasin (jeg er fotograf). Jeg gjorde det sidste år i Porec, hvilket var rigtig sjovt, da jeg fandt en lokal butiksejer med designertøj. Hans kone havde tilfældigvis en butik, hvor de lavede venetianske masker for salg i Venedig. Og jeg lånte en model fra et bureau i Zargreb. Så det blev til flere billedserier. der må jeg nok melde pas udover en enkelt modedesigner i Trogir, kender jeg ikke ret meget til det område. I will be moving to Split the beginning of September with my son who will just have turned one. Do you have a list of childcare/daycare/kindergartens? I will probably have an au pair/nanny the first 6 months-a year but would like to put him in school or care thereon after. Thanks! the kindergarten where my daugters went also had a daycare, for children from 1 year, so there should be several options in that direction, i do not have any list of places. HI Romel, i think your itinerary is great, pretty much a match to what i would suggest for a roundtrip starting in Zagreb and ending in Dubronik. but then i read sights saying there are many types of snakes there so would it be advisable to wear walking sandals??? thank you so much for your time and this brilliant site!! from my experince the pathways are best to overcome in trainers, you dont need walkin boots. There is Snakes I personally never say one there, and if you stick to the pathways i think it is very unlikely that you will so i would not worry about that part. My GF loves seafood and especially osyters any recommendations for split? We are spending our holiday in Montenegro and will leave this Saturday, travelling up to Vienna. 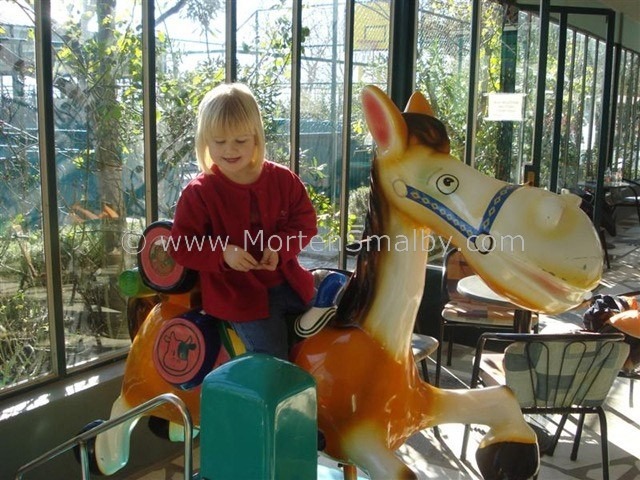 As we are with two small kids (aged 4 and almost 3) keep moving and speed would not only be an option for us. Plan to take motorway from Split via Zagrab, towards Maribor. Ved du om der er en international skole i Split eller omegn? my Danish is not existing but I think Jakob asked about an international school in Split. And if I understood correctly you Marten think there is one. I am also looking for an international school in Split for our 7-year-old son. The only international school in Split I can find, is the French school, but the little guy only speaks English, German, Turkish and some Chinese, so both Croatian and French may be a little too much right now. 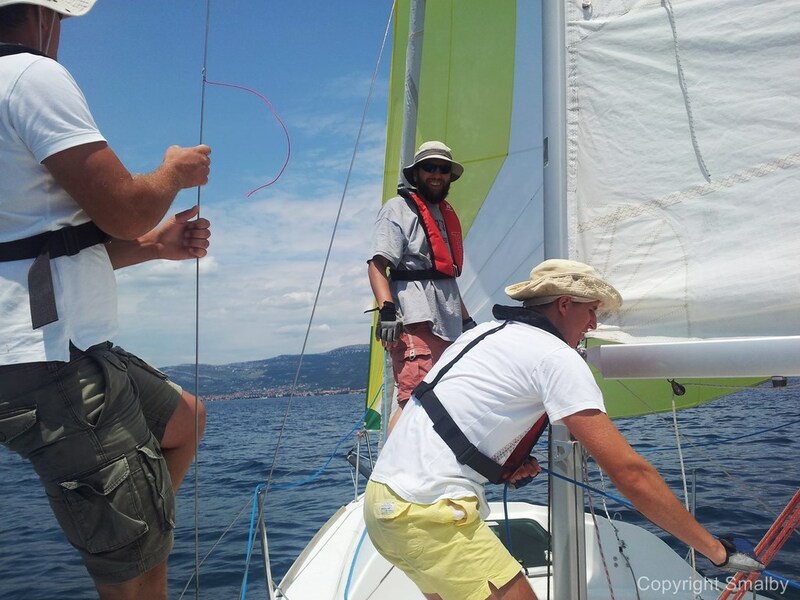 Did one of you find out more about international schools in Split? i currently live in the middle east and married to a Croatian woman . i have been surfing the web for work opportunities in Croatia as i had enough of the life here . as an expat in Croatia what would you recommend or suggest ? i am fluent in both Arabic and English and hold two degrees . you’re suggestions would be highly appreciated , hope to have a reply soon . thank you and have a great day . My family and I are thinking of moving to Croatia. We want to be closer to split, where my father was born. Although I speak Croatian, my husband does not (he’s Polish), and neither do our 3 children, who are 8, 6 and 3 years old. although I am not too worried about my youngest, I am concerned about school for the 2 older kids. I cannot find reliable information on the Internet in regards to schooling for non-croatian children. Would you happen to have any? I thank you so very much for anything you can send us! I can say for sure regarding setting up the business, as last company i opened was quite a few years ago, but after what i have heard, it is much easier today. What you should check is weather you need to setup a d.o.o or if and Obrt is enough. Online business would be my Nr.1 recommendation, when you wish to start business here. well as my kids meanwhile are out of the Kindergarden age, i am really not in the loop with that subject, but here you can find a list of all the kindergardens in Split, maybe that can help you! Our daughter is 6 and going to 2th grade after summer, we are planning to move to Split next year or latest the year after. The only reason holding us back is that she will be too old to then go to a Croatian school. Are there intl schools in split or private schools where they use the English language? I am not aware of a private school here in Split, which teach only on English, I could also not find any information about such a school on the internet. Sometime ago I heard that foreign students are entitled to some additional help with learning Croatian, but i don’t know any details about that. There is a facebook group for expats in Split, you could maybe try to post the question there. I enjoyed reading your article and I’m happy things are working out for you and your family. I have very specific needs I was hoping you could speak to. I had been living in Paris for the past 15 years, but I developed hyperacousis which means that I’m ridiculously sensative to sounds. I had to leave France (the language is very agressive to my ears) and I came to Portugal where the language is soothing to my ears, and where the quality of life is much higher for someone of my low-income bracket. While I have good things to say about Portugal, I know that Portugal is not a long term solution. There is a ridiculous number of dogs, which I love, but the noise that generates makes it very difficult for me, plus the Portuguese love to honk their horns. It’s a very strange thing for me to say, I know. But the difference in that regard between Lisbon and Paris is very apparent to me. I’d like to live in a city with nice, calm people who speak a language that is soothing to my ears, with a low cost of living and good public transport. So, what can you tell me about the noises of Split? well of course during the day there is a certain noise level in Split, as in any other city of similar size, but in generally i find i really quite here especially in the evening, at least that how it is in the neighborhood i live in. first of all – that is a really great project you are doing about Croatia with a lot of interesting and useful information for travelers of all sorts. Congratulations with your success! I had one practical question and I though may be you are familiar with the subject or you also had an experience. I am looking for a self storage in Split to store my things while I will be away from Croatia for few months, did you ever use or came across storage facilities? Your input will be greatly appreciated! I was looking a few years ago, at that time there wasnt any, of course that might have changed but i doubt it. How are you? What a helpful website you have. My partner Tom and I are getting married on Solta next Sept 2017. We would like to enjoy a bit of live music during our wedding, perhaps an acoustic musician or two. Do you know how I might find anyone who could do this? Are there any regular musicians who play in any hotels or restaurants in Split or on Solta who you think we could try to contact? It’s proving difficult to research from London! i really have no experience with hiring musicians here, so i am afraid i can’t help you with that question. We’re hoping to visit Krka from Sibenik and i noted your alternative ways to get there section and mention of the boat from Sibenik harbour. however, when i search online i can’t find any providers for this. do you know of or would recommend any tour operators for this option? we’re visiting in August. Hi James, the tours used to run the last years, but I can also not find anything online, so i would advise you to check when you are in Sibenik. 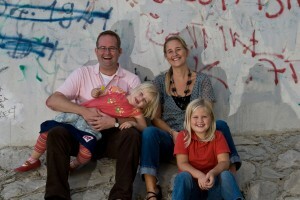 Hello Expat Euro Family, I’m an American single father of 2 boys (15,6) and have family in Pula. I’m actively planning a 2-3 year Istrian cultural immersion. I am wondering how to get my children into the local Croatian school systems. I am currently enrolled in a US homeschool program so I continue being teacher dad abroad but feel that it would be better for my boys to take as many local classes as possible. You are the only expats I’ve found who chose the local school system, Great Job Parents! Any direction you can offer to help me achieve my goal of cultural diversity and education is truly appreciated. sorry for the late reply, (Has been a hectic summer). I am not sure what have changed since our kids started in the local school, but at the time all all we did was to have a talk with the principle of the school, and then filled in the paperwork he gave us. I am searching for a humidity controlled storage facility in Split, Croatia to store medical equipment in support of a clinical study. Does anyone know of one nearby Split University Hospital? I am afraid i can’t answer that question for sure, but my guess would be there aren’t any. Hello! We are going to be in Split for a month in June. I was wondering if there is a play group / classes suitable for 1 year old? Since I don’t speak Croatian, I preffer English speaking ones if you know any. Thank you for your help in advance! not sure if there is any official play groups, but there lots of foreigners here in Split, so I am sure there will be other having kids at the same age.